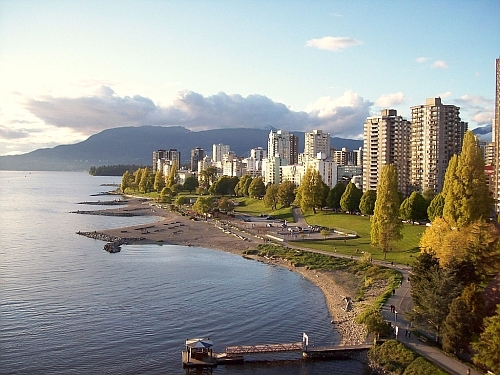 Air Transat has dropped the price of their non-stop flights from Calgary to Vancouver, BC down to $179 CAD roundtrip including taxes. Air Canada and WestJet have their July and August flights priced at $423 CAD roundtrip. Ouch! Update 2/3 - These went up in price today. It looks like the cheapest flights are now $258 roundtrip. offers free flight cancellation within 24 hours of booking, giving you a bit of time to decide. calgary, yyc, flight deals, air transat, british columbia, canada, vancouver, yvr, bc and north america. 3 Responses to "Calgary to Vancouver, BC - $179 CAD roundtrip including taxes | non-stop flights (July, August available)"
Priceline doesnt let me to book Infant seats on their website. Do you know if i can add the infant seat later with Air transat? I cant get hold of priceline until i make a reservation. When i called them, the automated message is asking for booking code first. I am pretty sure that with any airline, you can just call after you book and add an infant to the reservation. Since its within Canada, there wouldnt be any charge at all for that. I am just seeing roundtrips for $247. Any date suggestions?